Fix Tonnage Dosing Cans " Ethylene The Wonder Gas "
Small cans of pure ethylene enough for ripening 5 tons of fruit. Designed and devloped for bannana vendors and farmers. Can also be used for cold rooms of capacity upto 10 tons (single can). 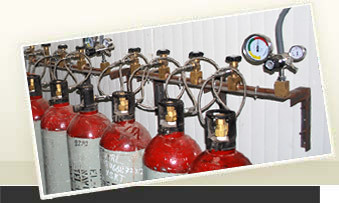 Chemtron manufactures high pressure ethylene ripening gas cylinders which have 7000 lits of gas. We have close to 200 cylinders stock any point of time. The banana ripening gas cylinders are given along with special pressure regulator which are marked according to room size for manual dosing. Cylinder are deliverd to door and picked from door ie end to end solution is provided. Portable Ripening Gas Analyzer of ethylene and carbon dioxide are availaible for inexpensive ripening. 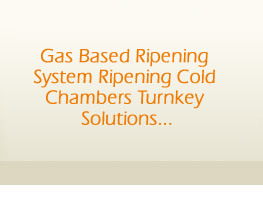 The Ripening Gas Analyzer is used to see the gas levels and using them the ripening cycles is controlled. Ripening can be done using gas cylinders in cold rooms of size 2 tons to 250 tons. The content is 7000 litres diluted by Nitrogen, which is enough for 10 ripening cycles for a 15 tons room size. The cylinder also has a special gas releasing device which indicate the quantity required for ripening. The customer has to dose amount of gas displayed on the device in the room and the system is activated immediately. This is a foolproof method showing the flow of ethylene in to the chamber. Leave room closed for 16 hours without intervention. 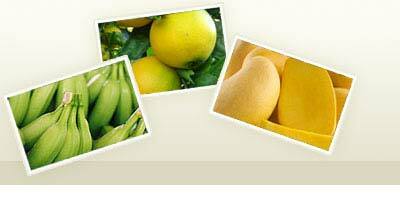 Ripening is done completely by the system using the semi automatic controller. It controls the complete ripening cycle of 4 days. Semi Automatic Ripening System controller activates the ripening cycle by a simple switch which starts the ripening cycle. It doses the room with ethylene for 16-24 hrs which can be set by the user. For the next 3 days the CO2 level is controlled by the semi automatic controller by switching on & off the ventilating fans. In this we have to make sure that no doors/vents are open. The system is controlling all the parameters which are required for ripening hence every batch coming out of the system is uniform & consistent over a period of time. Ripening is done completely by the system automatically, it controls the complete ripening cycle of 4 days and no user intervention is required. The controller activate the ripening cycle by a simple switch which starts the ripening cycle. It doses the room with ethylene for 16 to 20 hours which can be set by the user. It measures and doses the room continuously to maintain 100ppm. For the next 3 days the CO2 is controlled and maintained below 1% level. It controls the CO2 level using ventilation fans and CO2 scrubber. The system is controlling all the parameters which are required for ripening hence every batch coming out of the system is uniform and consistent over a period of time. This is ultimate goal of customer.